Have We Become a Disposable Society? Being an actively involved in providing educational solutions for Special Education Needs, I am often amazed at just how many people in education seem so focused on the causes and diagnosis of Dyslexia, rather than providing a meaningful solution for those 1 in every 8 children and students, that suffer from some form of Dyslexia today. Education for Dyslexia should take a precedence over that. Often in life we can make problems significantly worse by overthinking the problem rather than seeking a simple solution, and I can’t help wondering if the education of children with Dyslexia is not a perfect example of this. I look around me today and see that I am surrounded by many products that are manufactured to only last 5 years or less. From a myriad of electrical appliances to clothing, motor vehicles, furniture and building materials, little is build to last the way it was 40 years ago. Then I look around again in the world of business and commerce and see much the same. Bank relationships built on trust and a mutual confidence no longer exist. Most of us appreciate the problems in education that exist today, and there are sufficient numbers to start to bring about change, but while we remain a divided force, nothing will happen to stimulate the start of those changes. Meanwhile those investors in ed-tech continue to throw money at areas that really do not address the real problems in education that exist. Consider for a moment the number of teachers, schools, home schoolers, unschoolers, parents and care givers of special needs kids and you have a large number of people that represent a force significant enough to start the ball of change rolling. However everywhere I look I see those many different groups divided by theories and philosophies that really do nothing more than fragment the group as a whole, and so the problem will remain. 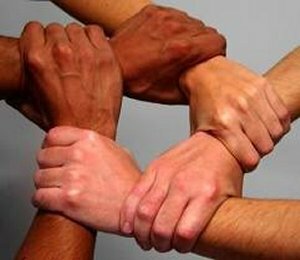 The old cliché of ‘United we stand, divided we fall’ has never been more true than in the field of education as it stands today. The last two years has seen what is virtually an unprecedented interest from the investment community in funding ed-tech opportunities, yet only a mininmal amount of those hundreds of millions of dollars that has been thrown at education really address anything more than tools, services and resources used by the existing system of education, and I have yet to see anything that really addresses the core problems. Opening my email this morning reveals news of an Ed-Tech “startup” that has just filed for Chapter 11 bankruptcy after having received in excess of $50m in funding. It’s hardly surprising when the amount of money injected into this part of the education market has been so significant in the last two years. The education market is a strange beast with no clearly-defined routes to market for the provider of a service or product, particularly when that service or product is delivered online. Identifying children’s strengths and developing and nurturing children’s talents could provide a more effective and better education and produce a happier and more successful society. So what do you think of the idea of improving the educational outcome for our children by assessing each child at a reasonably early age for their natural talents and abilities, and then focusing their educational years on developing those natural talents to nurture and improve them, thereby helping that child achieve their greatest potential. What is the common core curriculum? 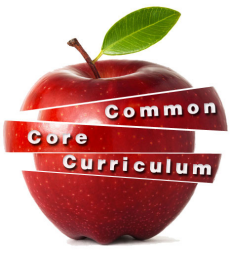 What does the common core curriculum mean? Is common core curriculum bad? Is the common core curriculum good? What are your opinions on common core curriculum? I work in education and I come across people every day involved in different fields of education. Among them are teachers, parents, homeschoolers, school district administrators and special needs carers, al of whom when the subject of the Common Core Curriculum comes up, of course has their own personal opinion. However what surprises me is that many of these people have formed their negative opinion based upon what they have been told by other people, and are not prepared to actually go and investigate the accuracy of what they believe. As a result their misunderstanding and misinterpretations about the Common Core Curriculum remain. It frustrates me that the world of education is already fraught with so many problems, and now we appear to have yet more divisions appearing over the subject of the common core curriculum. Jacob Barnett, who was diagnosed with moderate to severe autism at two years old, is now studying for a Master’s degree in quantum physics. A 12-year-old child prodigy has astounded university professors after grappling with some of the most advanced concepts in mathematics. What is the Right Amount of Homework? Karl Taro Greenfeld an author from New York was concerned over the sheer amount of homework his 14 year old daughter, Esmee, had to do during a week. The homework was taking family time and running into meal times, so in order to find out why, Karl decided to take on his daughter’s homework for a week. Karl told the Moms Today website that he just wanted to know what was the actual nature of the work that she’s doing every night?